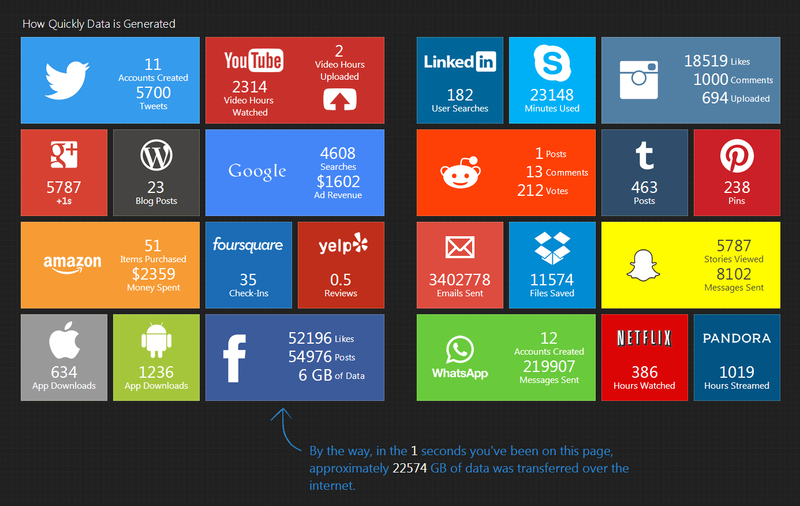 Ever wondered, how quickly data generated on internet and what happens on social media in one second? The team at Pennystockslab has designed an interactive infographic that visualize what goes on in the virtual world, every passing second - from YouTube videos to Google searches and from Instagram likes to to every email sent. By the way, in the 1 second you've been on this page approximately 22574 GB of data was transferred over the internet. Click on GIF to enlarge. Next read: How Much Money Google, Android, Apple and LinkedIn Make Each Second.